Travel Cot Safety - Which? 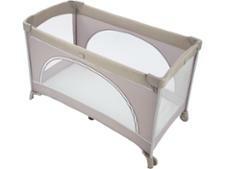 Essential checks to make sure your travel cot is safe for your baby to use. 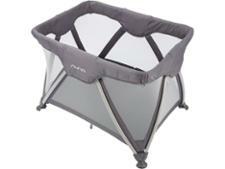 A travel cot may seem like a simple piece of kit that you pop up while on holiday, then pack away again. But keeping an eye on safe sleeping practices is just as important when you’re away with your baby as it is when you’re at home. 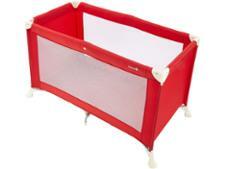 All cots sold in the UK must meet the European safety standards, and this includes travel cots. The same safe-sleep rules apply to travel cots as to regular cot beds. 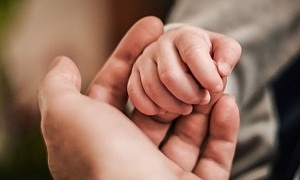 The Lullaby Trust advises that you make sure the cot has a firm, flat mattress covered in waterproof material. The mattresses in travel cots can be thinner and harder than those in normal cots, but you still shouldn't add any blankets over the top of the mattress to make it more comfortable to sleep on, as this can risk your baby overheating. And, as we explain below, travel cots are designed to be used with the original mattress, as this helps stability, so don’t be tempted to swap it. Travel cots are great for short stints away from home or for daytime naps, but they’re not intended for use over a long period of time. The mattresses don’t tend to be as thick as those in permanent cots, and travel cots themselves are less durable. A travel cot needs to be easy to use, safe and durable, so that when you go away with your baby, it won't add to your stress. We put each travel cot through a series of safety and durability tests, so you can choose the best travel cot. Find out which ones are the Best travel cots. Use the mattress that comes with the travel cot, as this is a key component in helping to keep it stable. Some travel cot mattresses may seem thin or hard, but using a different one may alter how well your travel cot holds up, and could make it easier to tip over. If you buy a new, thicker mattress for your travel cot – as lots of parents or carers do – you could be inadvertently shortening the height between the top of the mattress and the cot, making it easier for determined toddlers to escape. When we put this to the test on a number of travel cots, the distance between the mattress and the top of the cot ended up too short on just about all those we tested (it should be at least 50cm). 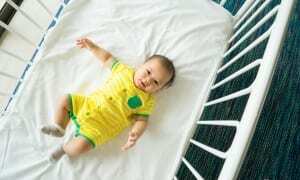 Your baby’s clothes can get caught on the corners of the travel cot, which could lead to strangulation – especially if your little climber decides to scale the sides in the night, or attempts an escape while your back is turned. All travel cots we review have to pass a snag test, where we dangle a heavy metal ball from a chain on the corners to check your baby can’t get caught. Find out more about how we test travel cots. Pop-up tent-style travel cots are super easy to put up and take down again, and look pretty cool. But the lack of rigid sides means they may not take your weight if you accidentally stumble in the night and fall on to the cot. So, if you’re using this style of travel cot, be extra vigilant. Stay alert if there are any zips on your travel cot, as they can sometimes detach easily from the mattress. This shouldn’t happen, but on some of the mattresses tested in our latest batch of travel-cot reviews, the zips did come away. If a zip finds its way into your baby’s mouth, it’s a potential choking hazard or, worse still, it could then be inhaled by accident. Many travel cots have wheels to make them easier to move around. In the interests of safety, you should check that the wheels either lock effectively, or that there are two wheels and two legs, so the cot doesn’t roll inadvertently. A second-hand travel cot can be a good option, especially because you’re only likely to use one occasionally. But before you buy, keep in mind our top tips on buying second-hand. Ask for the original instructions if there’s nothing printed on the cot. Make sure it's labelled as complying with British Standards Institution (BSI) safety standards. It should be labelled with the number BS EN 716-1:2008+A1:2013. Check the mattress is in good condition. Make sure the mattress is a proper fit. Travel cots don’t all have the same basic dimensions, and the way the mattress folds is integral to the packing-away process – so one that’s the wrong size can make it difficult to store neatly. For safety, the mattress top should be at least 50cm below the top rail of the cot. Check there's no obvious damage to the cot, such as holes in the mesh sides, or broken zips, or anything else broken that may have a sharp edge. Check that the corner coverings are all still in place and there’s no obvious place for your baby’s clothes to get snagged. Check the base for damage, and make sure the frame doesn't have flaking paint or sharp edges. Try folding and unfolding the cot several times to check that it locks securely into place every time, and it hasn’t suffered any damage over time which isn’t obvious just by looking at it. If you’re not keen on buying a second-hand travel cot, then head over to our Best Buy travel cots, where you’ll find the cheapest is only £50, so won’t eat in to your holiday budget too much. *2017 baby survey, March 2017, 1,046 parents asked.